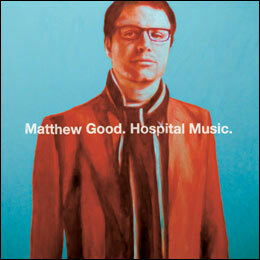 "Hospital Music" marks the third official solo release by Matthew Good. It also marks Matthew Good's last studio album on contract with Universal Music. While the album was in its initial stages, Matthew Good posted a series of drawings and prose on his blog. Some of the pieces were later used as titles or expanded into full songs. It is also believed that Matthew wrote a large portion, or all, of the album during his stay at the hospital in 2006. In late January / early February of 2007, I Am Not Safer Than A Bank was briefly available for download on Matthew Good's blog. It featured an audio overlay and was believed to have been an "infected track," meaning a song copy protected by added noise, rather than an actual clip of the song. Good later stated that it is being used as an interlude between three songs. She's In It For The Money, A Single Explosion, 99% Of Us Is Failure, Born Losers, and Moon Over Marin were also streamed on the official website. The album was later fully streamed on the official website until it was released in stores across Canada on July 31st, 2007. It debuted at #1 in Canada after selling over 11,000 copies in Canada. 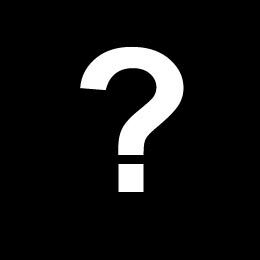 An iTunes release coincided with the release of the album in the US before being released to the UK the following August. The album was available for $7.99 on iTunes internationally. The album was later released in CD form on August 6th, 2007 in the US and August 7th in the UK. The album was released in a jewel case as opposed to the digi-pak packaging used for In a Coma and White Light Rock & Roll Review. The album featured a CD, lyrics booklet, and a paper insert advertising ring tones. The CD and booklet are both sky blue while the words "Gone away boys. We're gone away," which are lyrics from I'm a Window, appear on the back of the lyrics booklet. "Matthew Good. Hospital Music" appears on the CD itself. It was later nominated for the 2008 Juno for Best Rock Album. The album was engineered and mixed by Zach Blackstone and recorded at Warehouse Studios, Vancouver, Canada. The album art was painted by Jeremy Crowle. The first single released off of the album was Born Losers. The second single released was I'm a Window. Born Losers was featured as single of the week on iTunes USA and was downloaded several million times. This was Good's second #1 debuted since Beautiful Midnight. Matthew Good produced the entire album as well as playing many of the instrumentals. Rod Bruno (aka Merle) played some of the bass tracks on this album. Champions of Nothing is just under 10 minutes, this is the longest track that Matthew Good has recorded. The backup vocals for Born Losers are sung by Nadia Johnson. Pat Steward played the percussion on this album. Girl Wedged Under The Front Of A Firebird features interviews with the homeless people of the Vancouver East Side. The song is about a girl run over by a Firebird for drug related reasons. A Single Explosion was streamed on this official website on April 2nd, 2007. The album was mastered by Joao Carvalho. On the May 31st 2007 interview with CFOX, Matthew played I'm A Window acoustically as well as Metal Airplanes before debuting the first single, Born Losers. Champions of Nothing was previously identified as When Hollywood Runs out of Indians but has now been extended and named such.